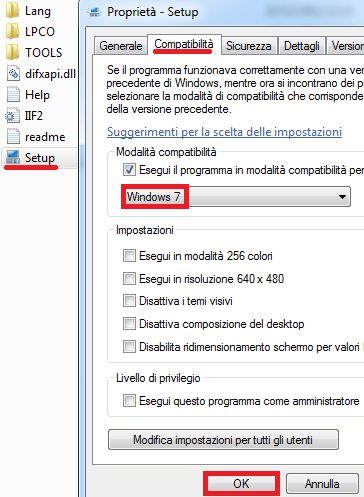 1)Unrar Archive and launch "WindowsDriverSETUP.cmd"
ITA.Scompattate l'archivio zip ed eseguite il file: "WindowsDriverSETUP.cmd"
ITA.A fine installazione riavviate il pc...et voilà! L'installazione è completata!!! 1)Unrar Archive and launch "Setup.exe"
ITA.Scompattate l'archivio rar ed eseguite il file: "Setup.exe"
How to unistall driver from windows 7/8: Control Panel->Programs and functions->Select "Intel(R) Embedded Media and Graphics"
Sometime Driver's Installer may return Error on Setup especially with modded Windows Versions. 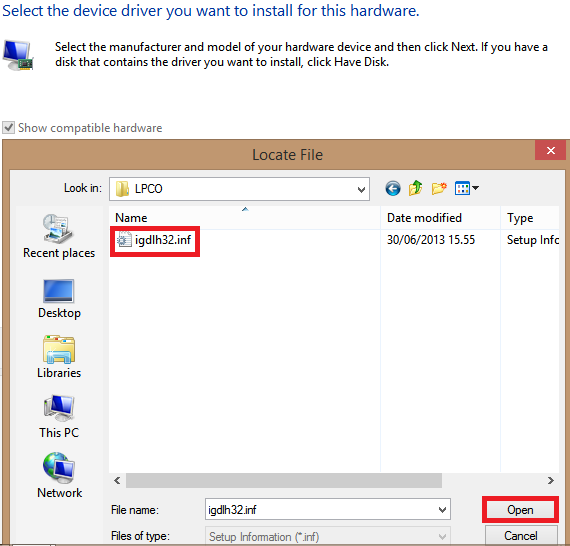 You can try to install driver manually from Device Manager! When I try to use the cmd setup file, I get something to the effect of "not all components have installed correctly." When I try to do it manually, I get a Code 10 error. I press the "Get Disk" button and choose the US15 option. I'm using a BenQ S6 on Windows XP Performance Edition with an Atom Z500 and GMA500. Can you provide any help? Hi, try to install manually from device manager. Can you tell me if gpu id is 8086(intel) 8086 (gma 500 200MHz version)? I'm not sure where my GPU ID is, but I know this driver will work because it did before I installed my new SSD. 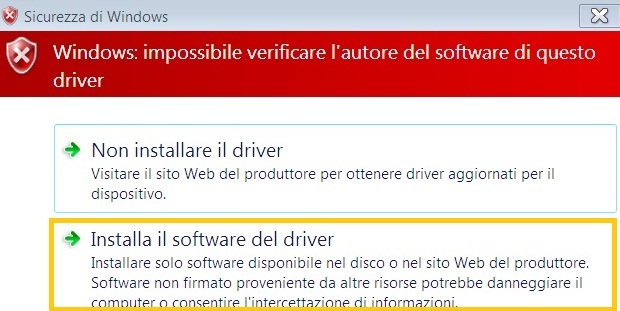 As I said, when I install the driver manually using device manager, I select Get Disk, navigate to the drivers folder in the download you provide, and select US15 Intel Embedded Media and Graphics Driver Function 0. I restart my computer and get Code 10 This device cannot start. Additionally, do you know how improved/decreased performance would be switching from Windows XP to Windows 7 on a 512 mb RAM machine? Emgd and egd don't support device 8109 (gma500 @100MHz UL11L). I don't know how works your low clocked platform (if something change) but you can try to force installation just opening with notepad the inf file in lpco folder and change all values from 8108 to 8109. *if windows crashes on boot simply remove the video driver from windows safe boot (f8 during system boot) and select unistall from the installer or from device manager/ video adapter. I tried this, and unfortunately, it did not work. I have been desperately looking to increase the performance of my BenQ S6. I have installed a very slimmed down version of Windows XP, run no programs in the background, and still performance is subpar. Is there anything you can do to help me? Probably in your case is better to use a linux distro instead of a microsoft product. Your gma 500 downclocked @100mhz, 512mb of ram and 800mhz cpu aren't so good. Probably is time to change your device or try lubuntu. I use Setfsb to overclock to 1.1 ghz and the front side bus overclocks too. I can't remember where I found it, but I believe I found a modded driver somewhere a year ago to improve the performance of my BenQ S6's GPU, which I can't find now. Linux doesn't have the program support that I need unfortunately. I have a good amount of RAM free (around 280 mb idle), and RAM isn't too much of an issue with XP Performance Edition that I use. Any help is appreciated. These are all available drivers. Probably you used iegd,that is older than emgd but is compatible with more devices pc, compiled for your device..just check if it is compatible! There are various windows lite version around the web (read my post windows xp micro editions) where ram usage in idle with basic video driver is only 80mb. 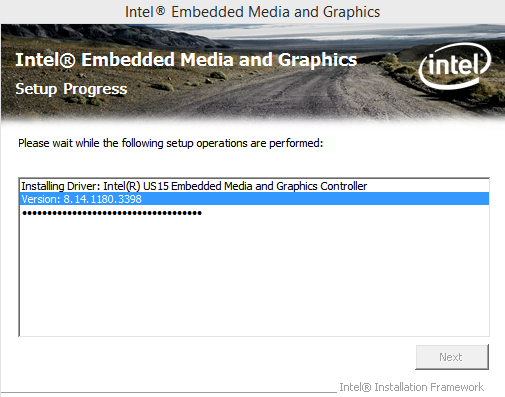 I'm trying iegd drivers on my BenQ S6, and I'm not sure why it's not working. I'm going to give up for now, hopefully you can help me. Setup.exe says the same thing about not having all of the components installed for iegd drivers too/ It wasn't even the iegd 10.3 drivers that worked, it just installed iegd 10.3 driver creator. I made an observation today. 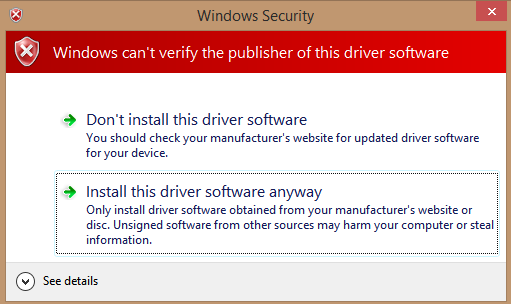 When installing drivers for EMGD manually device manager will say that this driver was not intended for your device. 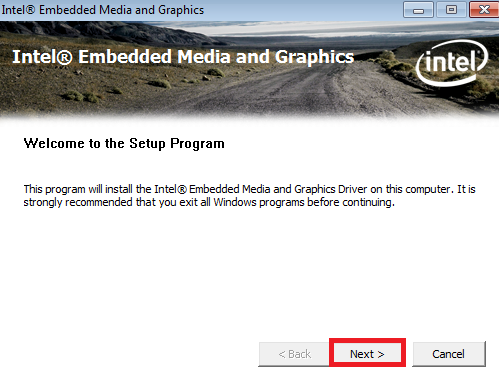 However, when installing iegd, it says this device cannot start. Does this information help you at all? The reason I've been having all of these problems is because my BenQ S6 doesn't have the US15 or US15W version of the GMA500, but rather the UL11L which is (at least, I think so) significantly less powerful. But you probably already knew this. I'm starting to doubt that I actually did have custom drivers on it in the past. Anyway, thanks for all your help, if you find anything let me know - it's a shame there's no custom driver support for this chipset. I'll actively look at this post. I'm back! After rereading your replies, I tried GMA500 Hidden Settings, but it failed to initialize. Are there any other tips for me? I really do need to stick with XP. Maybe help me build a custom driver? Thanks in advance.